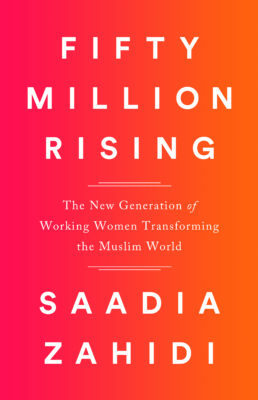 Fifty Million Rising by Saadia Zahidi is that rare book that does everything it sets out to do, then goes beyond it. Zahidi’s look at the cohort of “The Generation of Working Women Transforming the Muslim World” doesn’t contradict itself, but golly is it large and containing multitudes. It couldn’t be anything less and still true, spanning thirty Muslim-majority countries from North Africa all the way to Southeast Asia. As a Pakistani woman from a Muslim family, Zahidi only briefly centers the narrative on herself, contrasting the sort of opportunities and education her grandmothers had, then the Ph.D. that her own mother earned and the goals her family encouraged her to follow, with broader culture. By doing this, she imbues her subsequent stories about other people and the subject of women’s education and work — and the barriers to them that still exist in the Muslim world — with the perspective of a familial understanding rather than that of the typical, well-meaning but still foreign, writer wielding an anthropological gaze. This pays off as she travels to sixteen countries, conducting more than two hundred interviews to understand the ways in which Muslim women have made gains, especially in education; have come into the workforce in the economies; and are changing and being changed by the modern world. Never in my life would I have imagined that getting a job at McDonald’s could be fulfilling, affirming work for a person in their early twenties, but for a contemporary Pakistani woman, it often is, and the multinational corporation values female labor because women value the opportunity to demonstrate their worth beyond marriage material or child production and thus are punctual, hard workers. This particular anecdote, including McDonald’s being a middle-class status symbol that strenuously protects women from customer and co-worker sexual harassment, lay far beyond my wildest fantasies before reading this book. For an interested layperson, the primary utility of Fifty Million Rising is to complicate your view of 1.25 billion people who we tend to only find characterized as an alien, homogeneous bloc — hostile or downtrodden or unfairly slandered, but, regardless, so poorly understood that the diversity within and between Muslim societies gets flattened till all its humanity is wrung out. On this level, Zahidi’s book is continually shocking when all you’re doing in consuming Western media about the Muslim world: terrorists, war, black-garbed head-to-toe women who are victims of monstrous patriarchy. We’re well-aware Saudi Arabian women are prohibited from going out in public without meeting a dress code of modesty, not allowed walk unescorted, and, at least until later this year, drive at all. Yet less well-publicized is that half of all university-age Saudi students get a tertiary education, and about half of those are women. This complicates the picture we’re passively encouraged to have of an Islam synonymous with barbarism and misogyny. Zahidi is no apologist, though; as in other places in the Muslim world, often those university degrees are used more to mark the women as eligible potential brides than ever translated into productive work. But as a result, they also then have the autonomy to divorce their husband if he chooses to take another wife — something their mothers couldn’t have chosen — and to provide for their children if they’re widowed. More typically, women with education and skills can contribute to the household income in order to achieve the standards of middle-class consumption that continue to pervade from culture, travel, living abroad. That’s not necessarily a thing he said and doesn’t actually make sense, but it feels true, at least with technology. We think Luddites can’t turn back the clock while we understand social reactionaries can. So let’s instead say the past isn’t even past. When Zahidi describes how Muslim women are emerging into public spaces with the buying power and accompanying social earth-shaking that entails, that first seems retrograde rather than the present. But the parallels are undeniable when reading about late nineteenth century white women in the United Kingdom and America gaining access to the public through shopping for themselves at department stores. Later, Zahidi examines the added burden women have when they take on winning bread for the family without being about to share the weight of household chores, and it’s imminently familiar to what American women have experienced since Second Wave Feminism in the 1970s. The way the so-called “gig economy” is radically altering how people of uncertain finances can augment their incomes more flexibly, how women often arrive at being primary earners changing the power dynamic in their marriages, and how men resent “all of the money” the government spends on women at their expense is entirely contemporary and familiar. Likewise, it’s easy to sneer when reading that the thirty Muslim-majority nations Zahidi looks at have managed only seventeen-percent female representation in their national-level legislatures until you compare that to the current U.S. Congress. In scope, Zahidi manages to demonstrate how much diversity there is in each place she travels to and whose statistics she compares, but what I don’t think she intended and still achieved so successfully was providing stark examples of how misogyny exists around the world, with the subtle and obvious ways it impacts women’s lives everywhere. None of it is a direct criticism of our own society in the United States, but I don’t know what else you can feel when Zahidi describes the experience of seeing Benazir Bhutto elected prime minister of Pakistan and what it meant for South Asian girls in the late eighties to know they could accomplish anything they wanted. Or how work becomes low-paid when it becomes predominantly feminine, such as in their example, accounting. 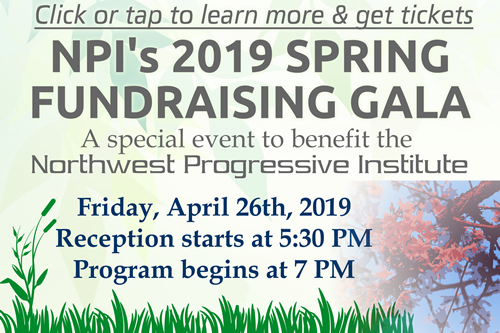 Zahidi accomplished something really impressive with Fifty Million Rising, without succumbing to pollyannish assumptions of the future or avoiding the structural prescriptions nations need to include if they want to get the most out of half of their populations for the economic benefit of all. She wrote a book that’s not only incredibly interesting in each detail and perspective but also engrossing on the largest scale, country to country, generation to generation. And again, this is all in less than three hundred pages. if you’re at all interested in feminism, Islam, or the global economy, get yourself a copy of this book. There is a lot of awful stuff going on in the world, but as this book shows us, not everything that’s happening is bad.